Manchester Science Festival enters its 8th year this year, with a packed calendar of activity from 23rd October - 2nd November. The festival was officially launched at a do hosted by Museum of Science and Industry (MOSI) in Manchester t'other night and yours truly was lucky enough to be in attendance. Among the other guests were patrons and friends of the museum, scientists, professors and engineers from the local Universities, budding enthusiasts and even Bez from Happy Mondays, but more on him later. 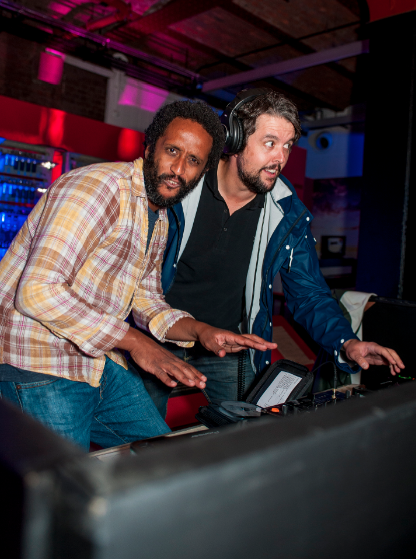 The soiree was a chance for the festival's organisers to offer a sneak peak at some of the exhibitions due to launch at the festival, as well as a chance for the region's geek community to sample local Ales, pies and music courtesy of Elbow. Any excuse! Dr Marieke Navin, the Festival Director, took to the stage, alongside fellow intellects from the world of science to offer their thanks and their appreciation to the crowd and the people that helped make MSF14 happen. Dr Navin also introduced Bez, of Happy Mondays fame to the bewildered crowd. Bez had volunteered his body for the purposes of science - but not for the kind of experiment you'd think. Instead, Bez his head examined (which, is probably a good thing) and then printed in 3D! 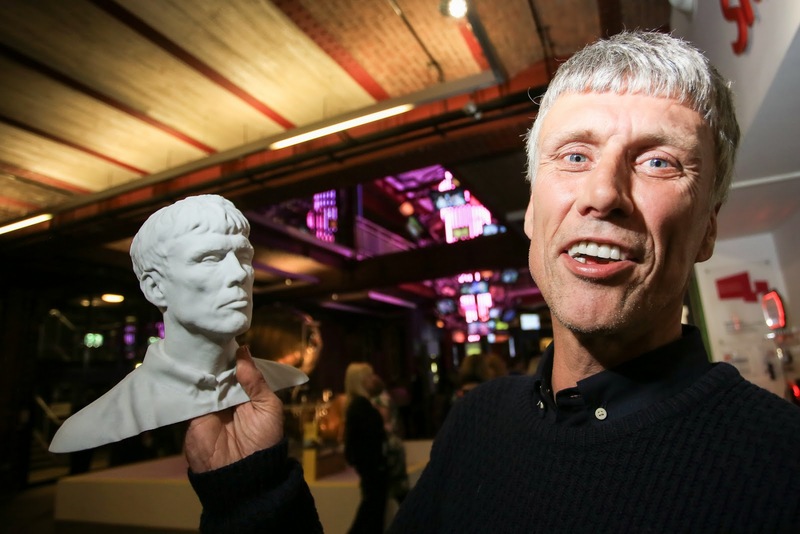 As part of the 3D: Printing the Future exhibition that will form part of the festival, Bez's 3D bust was created by reprographics firm Hobbs from Manchester's Northern Quarter and will be on show as part of the exhibit. That's science kids! Exhibiting the blurred liens between art and science in this alchemy project by Helen Storey MBE. The only exhibition endorsed by Bez!